By Rhea Grant of Seven Investment Management. For 7IM, the last few months have been all about treading carefully. Markets have been at record highs yet all doesn’t seem right. Brexit, amongst other things, is still one of the most uncertain events ever. Provided you’re on course to achieve your expected returns, there doesn’t seem to be much incentive to be overweight in very toppy markets. It’s a marathon to retirement, not a sprint (unfortunately for all of us). Our underweights to UK and US markets, overlaid with a strong overweight in sterling, look like pretty decent positions in recent weeks. If you have it, the ability to hedge currency continues to be a key component for fund managers – just look at the strong performance of the pound in the last two weeks as proof of that. Theresa May’s address from Florence today confirmed that the government is now prioritising a “smooth and orderly” Brexit rather than a clean break, including a two-year transition period during which the UK adheres to EU rules and regulations. This should reassure markets that pragmatism is in the ascendancy. Our Asset Allocation Committee met two weeks ago and largely vindicated our stance on the cautious side. How Anstee & Co can help you with investments. 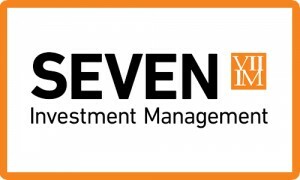 As independent financial advisers (IFA), we work with all the large investment houses. I you would like help with your investment strategy then please contact us. To view our investment process please see our website for full details. We have expert financial advisers who specialise in investments and wealth management. Our offices are situated in Kettering, Stamford and London. We make use of meeting rooms in Bedford, Towcester, Wellingborough and Warwick. Our team covers Lincolnshire, Bedfordshire, Northamptonshire and Warwickshire. Meetings to give financial advice can also be arranged at your home or place of work. Also at a time that is convenient to you. The first meeting is free of charge. We will not undertake any work on your behalf without providing you with full written details of the works and costs involved. Why not contact us today to see how we can help you.